If you’re like most women, mascara and brow liner are an important part of your makeup arsenal. Without them, your brows or lashes seem to disappear, but you’re tired of the clumping and hassle. Thankfully, there’s an effective, semi-permanent solution: lash and brow tinting. Time-saving. Tinting saves time in the morning because most days, you won’t have to take time for mascara or liner in your daily makeup routine. You can add mascara for a more dramatic look, but for every day, the tinting is usually enough. You wake out of bed each morning looking like you’ve already applied your mascara or liner. Avoids irritants. 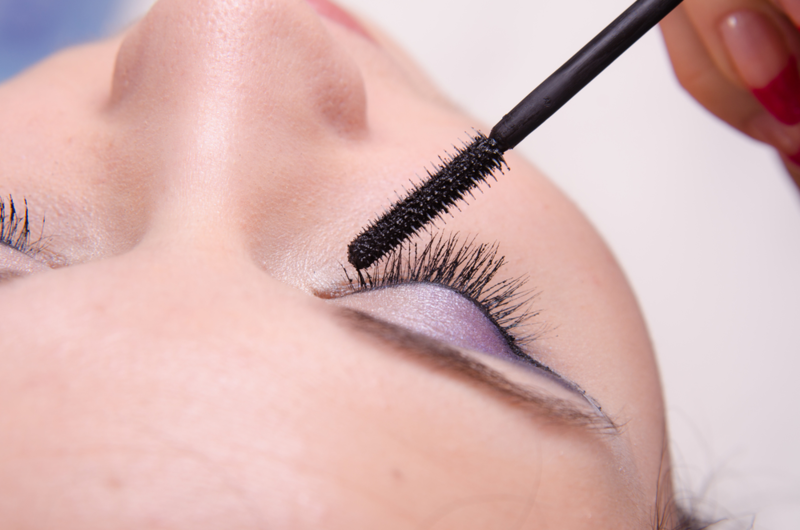 For women with sensitive eyes or contacts, applying mascara can sometimes be more than a hassle – it can be painful. With regular tinting, you can keep your lashes looking great without the irritation of daily mascara applications. Pigments used in tinting dyes are specially designed for your eyes, so few people have trouble with the monthly treatments, especially compared with daily mascara applications. Great for athletes. If your sport has you sweating a lot, or if you’re a swimmer or surfer, lash and brow tinting is a great option for you. Even waterproof mascara can run and clump when exposed to moisture, so if sports are an important part of your day, tinting helps you look great without worrying about smearing. Natural looking. Perfectly defining your brows with liner can be difficult, and on some days, it looks unnatural. Tinting the hairs gives you perfectly shaped brows every day, in a way that looks natural. Even lashes can look unnatural when mascara clumps, but perfectly tinted lashes look like you were born with them. If you’re tired of hassling with mascara and liner, try lash and brow tinting for yourself. Make an appointment today at Helen’s Haven, and our professional estheticians will help you choose the perfect tint for your needs. Find us at 4819 Ave., #6 in Honolulu, or call 808-739-0400 to book an appointment. If you prefer managing your own appointments on your device, try our free mobile app, available for download on the App Store, Google Play, and Amazon.